The confined and often damp confines of the bathroom can bring forth many unpleasant odors, which can quickly become overwhelming. Luckily, you don’t have to let your bathroom’s odor get the best of you! Read about these 8 handy tips to help keep your bathroom fresh! Keep the Air Circulation Up – Airflow is essential in a damp place like the bathroom. Be sure to turn on the overhead fan, open a window, and leave the bathroom door open for fresh air, especially after you take a hot, steamy shower. This will not only keep the bathroom fresh, but it will also get rid of the humidity, which could case mildew to grow. Air Out Towels – Towels get damp pretty quickly in the bathroom and need some room to air out so they don’t get that stale, musty smell clinging to them. Dry them out properly by installing towel racks that are wide enough to spread them out – they’ll dry much more quickly and thoroughly. Also, avoid hanging multiple damp towels together or putting them on a hook on the back of the door. Check for Leaks – When you have water dripping on cabinets or laying on the floor, it can cause odors to appear. Make sure to check under the sink and behind the toilet for any leaky pipes that might need repairing. If you happen to find anything suspicious, be sure to call in an expert plumber to get the job done correctly. Clear Out the Trash – Make it a habit to take out the trash in the bathroom regularly, even if it’s more than weekly. Getting rid of the trash at frequent intervals will help tone down any odors that might appear. Also, using a plastic liner in the trashcan will make taking trash out easier and help keep the wastebasket clean. Keep the Curtains Closed – After you get out of the shower, it’s a good rule of thumb to pull the shower curtain and the liner at least partially closed. This will allow air to circulate within the folds, which lets the curtain to dry faster. Additionally, you’ll be less likely to see and smell any potential mildew forming. Add a Scent – There’s no reason to deal with stale, musty smells in the bathroom. Make your bathroom a sanctuary by using air fresheners or odor neutralizers to help eradicate bad odors and keep the air smelling great. Burn your favorite candle to turn it into an instant oasis. Freshen Up the Fabrics – It’s easy for fabrics to smell musty in the moist environment of the bathroom. Take out the smell by laundering the towels and washcloths at least once a week. Additionally, wash the bathmat often as liquid is frequently absorbed after showers. 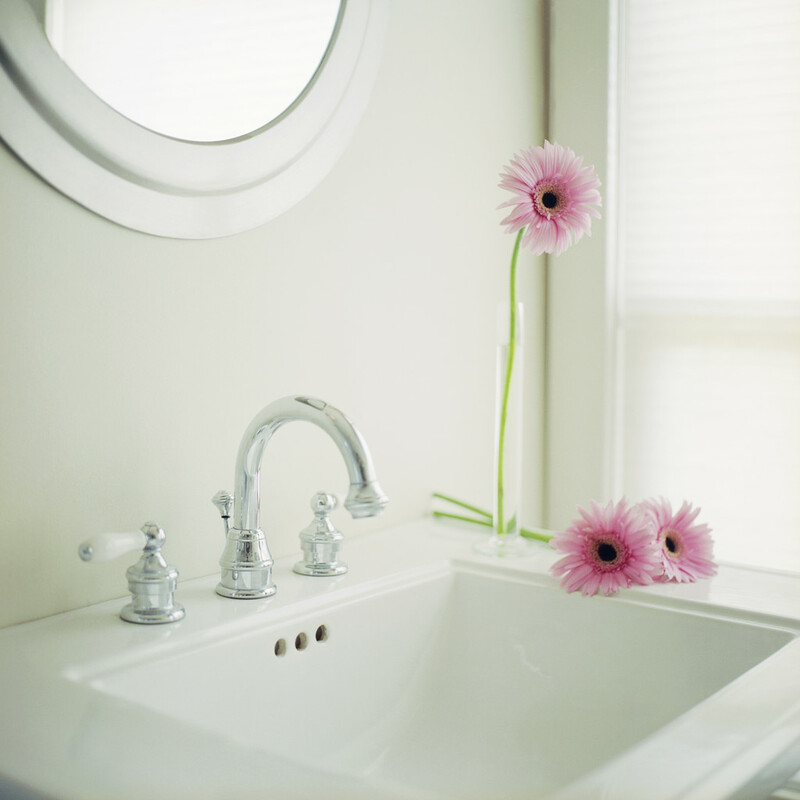 Keep It Clean – The best thing you can do to maintain a fresh bathroom is to be diligent on cleaning it. Make sure that the toilet stays fresh and clean and that your shower is wiped down from excess moisture. Go above and beyond by wiping down bottles, tubes, and the counters they’re on so that the sticky residues don’t contribute to any odor problems. To keep your bathroom fresh and sparkling clean, you’ll need the best cleaning tools to help you get the job done. Check out the supplies we have at U.S. Wiping by visiting our store online at www.uswiping.com. New Year’s has come and gone – no doubt you had an enjoyable time celebrating with your family or friends at your home. Once the festivities are over, however, it’s time for cleanup… and that can be quite daunting, to say the least. Perhaps you’re starting to wonder if cleaning will ever become easier in the future instead of constantly staying a huge chore that keeps being placed on the backburner. No worries! Here are 7 easy cleaning goals for you to strive for in 2015! These easy-to-implement changes will really help lighten your cleaning load and let you get back to the things you enjoy doing! Manage the Mail Immediately – Is that huge pile of mail looking more and more intimidating? Make life easier by taking care of the mail as soon as you nab it from the mailbox. Feel free to open the mail over a trashcan or recycle bin so that the junk mail can go away right away! Tidy Up Nightly – If you leave things to pile up, cleaning can become quite overwhelming quickly. Just before bedtime every night, do a walk-through of your home. Put away anything that wandered out during the day into its rightful place, place newspapers in the recycling bin, ditch the junk mail, load the dishwasher, hang up coats and towels, and so on. A general pick-up every night will keep the clutter in-check and help your home stay tidier longer! Use Waste Baskets Everywhere – Having a small trashcan in every room will make clean up (and trash night) go much more smoothly. Place a small trashcan in each room and empty it weekly or as needed. 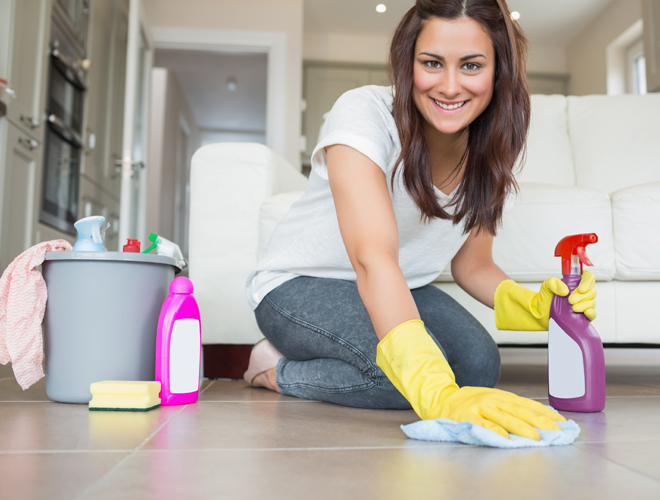 Put Cleaning Supplies on All Levels – Isn’t it a pain to drag all of your cleaning supplies from the main floor to the upstairs and then to the basement to clean every single time? Avoid lugging around all those supplies by keeping a full set of cleaning supplies on each floor of your home. Additionally, make sure that they’re kept in a plastic, easy-to-carry caddy for safe-keeping! Remove Shower Scum As It Appears – Tubs are a tough to scrub after mildew and scum settle in. A daily shower cleaning, however, will help keep your shower and tub surfaces scum-free and mildew-free! Just mist the surfaces immediately after you shower (and ask your family to help as well) while the walls are still warm and wet, then wipe away the excess moisture. Use More Baskets – Baskets are the best weapons you never knew you had when it comes to keeping your home clean and organized. They come in many different sizes and work nicely when it comes to storing toys, magazines, remotes, unopened mail, and many other items that you use every day but don’t quite have a proper home for. Place baskets of varying sizes in your home and give those oddball items a proper home! Make Vacuum a Snap – Don’t lug one huge vacuum cleaner all over the home. Instead, keep a small, hand-held cordless vacuum on-hand to make cleaning painless! Consider using multiple vacuums on different levels of your home so you don’t have to worry about hauling the same one up and down the stairs all the time. Don’t forget that a proper cleaning requires the right tools for the job. U. S. Wiping has been supplying the Greater St. Louis region along with the entire nation with superior cleaning products for over 100 years! Check out our stock at www.uswiping.com to get started today!